Watchtower Security strives to make a positive change in all the communities in which we partner. Helping to reduce criminal and nuisance behavior is a great start for any community. We strongly believe when you partner with a community, simply reducing crime is not enough. It is simply the first step in creating lasting and meaningful change. In 2014, Watchtower Security helped establish Towers of Excellence with the intention of empowering and inspiring today’s youth to become tomorrow’s leaders. Through mentorship programs, at-risk youths are assisted in discovering a successful path to high school, college, and beyond. Watchtower Security and Towers of Excellence believe all people deserve a quality education and enriching life experiences. Towers of Excellence is helping communities by providing at-risk youth with this core foundation. Empowering the leaders of tomorrow with meaningful and positive choices enhances their lives and the lives of their fellow man. Camp Hope provides care for veterans and their immediate family members who are suffering from Post-Traumatic Stress Disorder. Located in Houston, Texas, this facility has been in operation since 2012. Camp hope offers a 90+ day PTSD recovery program, as well as mentoring and job placement services. This organization truly aims to help troops, veterans, and their families as they deal with the invisible wounds of war. Watchtower Security is honored to provide managed video surveillance services at no cost to Camp Hope. 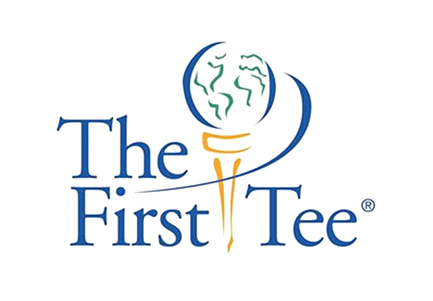 The First Tee is an international organization introducing the game of golf and its inherent values to youth across the planet. Through after and in school programs, they help to shape the lives of young people from all walks of life by reinforcing values like integrity, respect, and perseverance through the game of golf. Watchtower Security is proud to be a contributor to a program that is helping to positively shape the minds of young people across the globe. Empowering members of the community is a core belief that Watchtower Security and the Near Southside Employment Coalition feel very strongly about. Few organizations embody this value system more than The Near Southside Employment Coalition. From its inception in 1983, this organization’s goal is to eliminate unemployment in the St. Louis, Missouri metropolitan area. Watchtower Security provides managed video surveillance services to the Near Southside Employment Coalition free of charge. Flance Early Learning Center is a charitable partner of Watchtower Security. They are committed to providing innovative, quality care and education to a racially, culturally, developmentally, and socio-economically diverse population of children. Participants between the ages of six weeks and six years are taught in a nurturing environment that provides supportive services to families. Watchtower Security is proud to help support an organization endeavoring to better the community.